To improve access to fresh produce by providing space, infrastructure and tools for on-site food production. Gardening or the cultivation of produce and herbs increases access to healthy, fresh and nutrient-rich foods and allows individuals to be more engaged with food production processes. Studies show that gardening can lead to better eating habits and more positive perceptions of overall health, and has been associated with lower BMI as well as lower odds of overweight and obesity. A garden with food-bearing plants. A greenhouse with food-bearing plants. Edible landscaping (e.g., fruit trees, herbs). U.S. Green Building Council. Pilot Credit 82: Local Food Production. http://www.usgbc.org/node/2743606?return=/pilotcredits. Published 2009. Accessed October 17, 2014. LEED v4: Reference Guide for Building Design and Construction sets a Pilot Credit (local food production) for onsite food production, which requires provisions for onsite food production. LEED v4: Reference Guide for Building Design and Construction sets a Pilot Credit (local food production) for onsite food production, which requires the provision of a greenhouse. LEED v4: Reference Guide for Building Design and Construction sets a Pilot Credit (local food production) for onsite food production, which requires the provision for onsite food production. LEED v4: Reference Guide for Building Design and Construction sets a Pilot Credit (local food production) for onsite food production, which requires the provision of a watering system. LEED v4: Reference Guide for Building Design and Construction sets a Pilot Credit (local food production) for onsite food production, which requires the provision of access to sunlight. 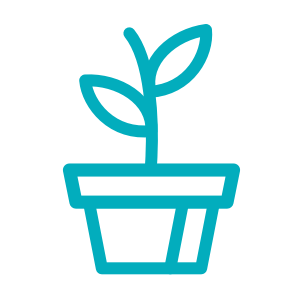 LEED v4: Reference Guide for Building Design and Construction sets a Pilot Credit (local food production) for onsite food production, which requires the provision of vegetable gardens and/or edible nut and fruit-bearing plants.